Step 1. 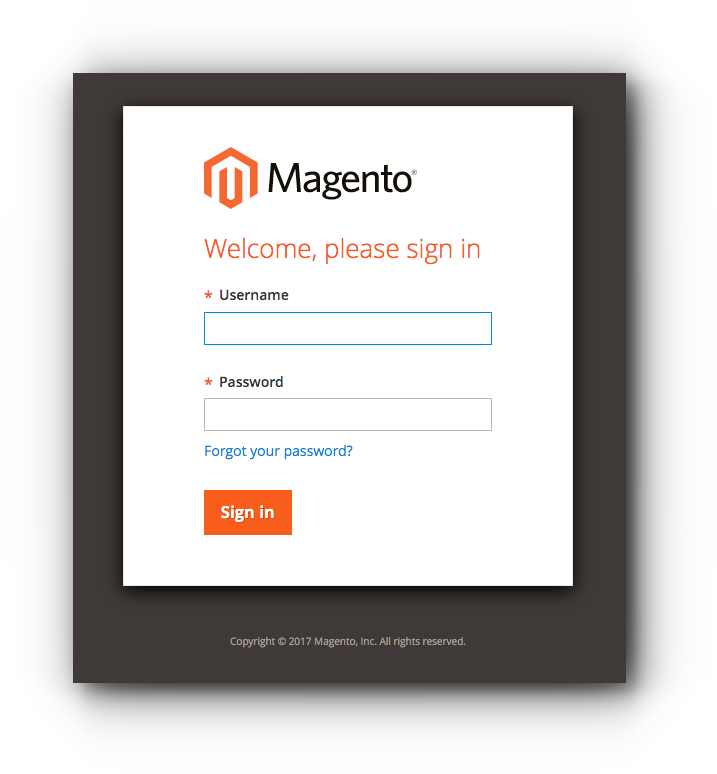 Log in to your Magento Admin page. Step 2. 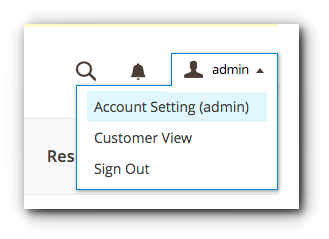 Click the drop-down arrow next to your username and select Account Setting. Step 3. 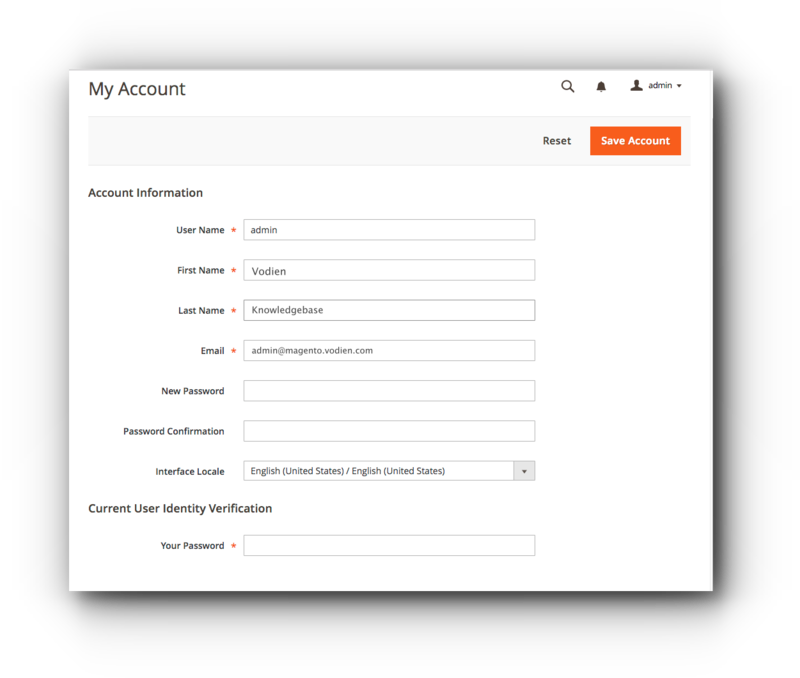 Enter the password and click Save Account. 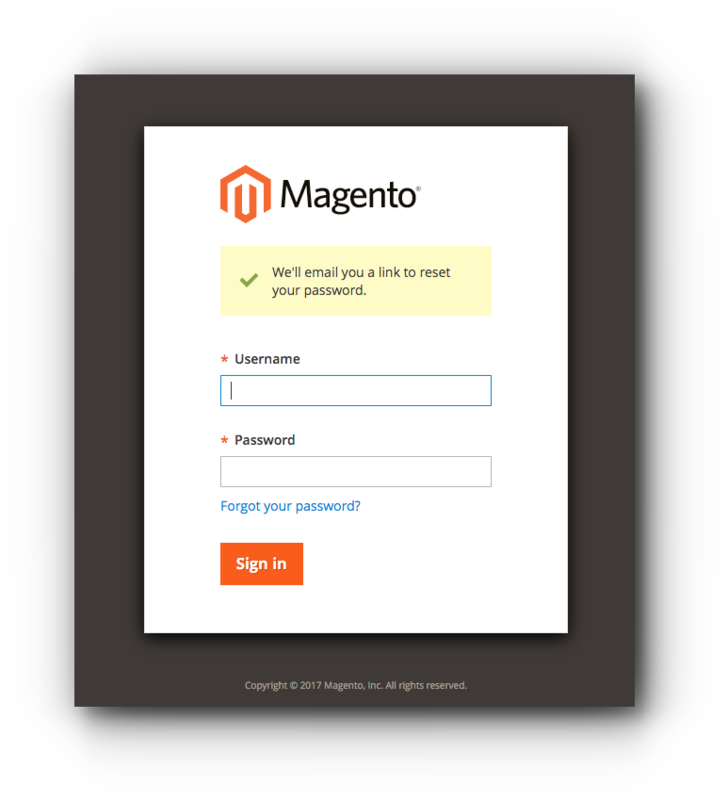 This is assumes that you know the email address you are using for the Magento admin site but does not know the password or forgot it. Step 1. 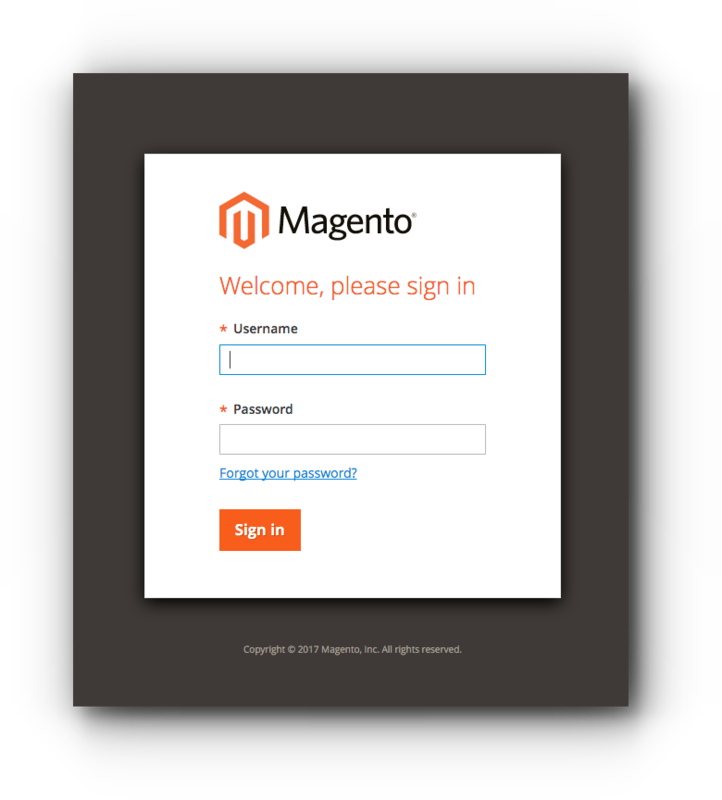 Access your Magento admin page. Step 2. Click “Forgot your password?” link. Step 3. Enter the email address and click “Retrieve Password”. Step 4. An email containing a reset password link is sent to you. Click the link. Step 5. Enter the new password and click “Reset Password”. 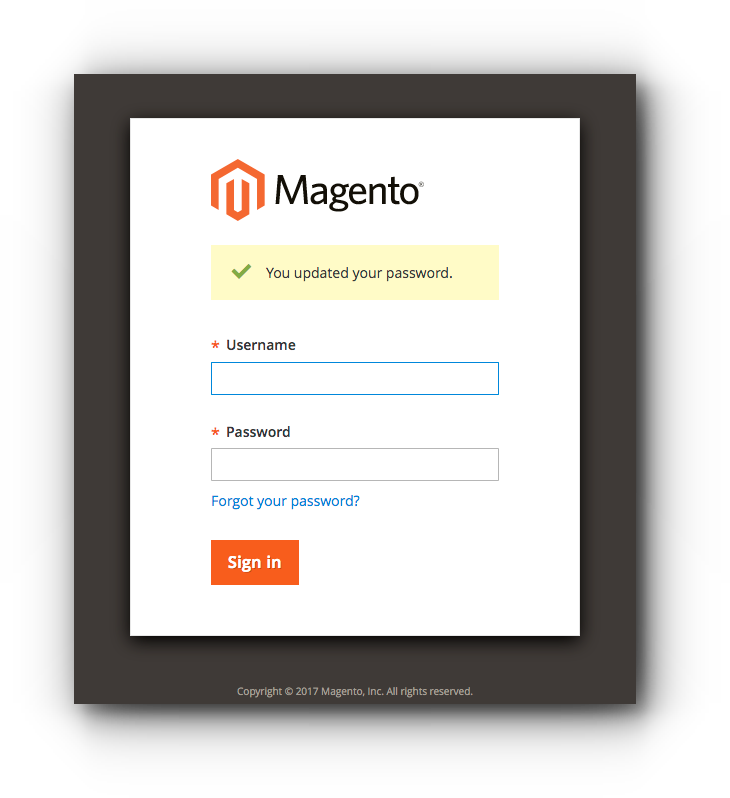 Password has been updated successfully, you may now log in to your Magento account. 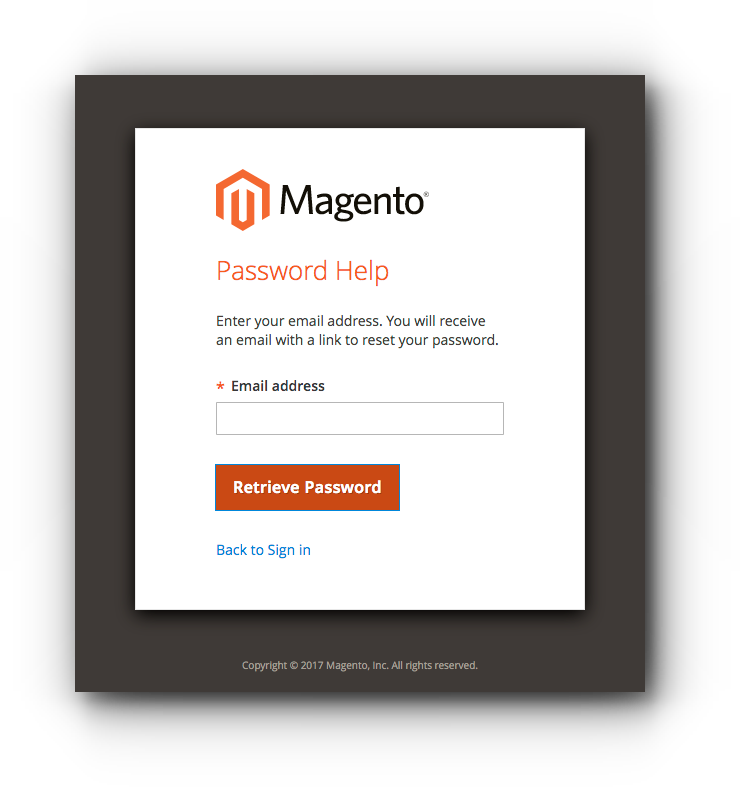 Follow the steps below if you do not remember the email address and password you are using for your Magento admin. Before you proceed, it is highly suggested to back up your website files and database. Step 3. 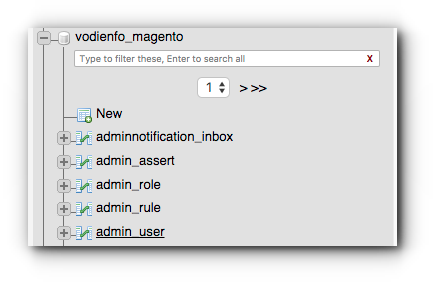 Locate your Magento database and click admin_user. Step 5. Look for the password. Change its value to your new Magento password. Step 6. Select MD5 for the function. Step 7.Scroll down and click “Go”.